Aplava is a startup beauty company that has beauty products picked by a professional team of dermatologists and beauty advisors. Aplava has many skin care products with premium formulas made up of natural ingredients. I have recently ordered Agaro Hair Dryer, Agaro Shaver and Lakme Eyeconic Kajal from Aplava. Currently, they have discounts in most of the products. So, I managed to grab the products in a very good discounted price tag. Here is my review of this online beauty store. Aplava(pronounced "Aap luv" in original sanskrit) means taking a bath to purify oneself. As the name suggests, they claim to give its customers an experience of divine purity. Aplava has developed a mechanism to advise and recommend products based on your skin type and skin concerns. To get personalized beauty recommendation, just create a profile and head over to the Personalized Beauty section in your profile page. Aplava has a wide range of beauty products. They also have few baby and home care products. The products were well packed and arrived on time. I got a confirmation mail for my order. I got notification once they shipped the products along with tracking details. I have ordered the below 3 items from Aplava. Though Agaro has mixed reviews, I thought of trying their products. Lakme Eyeconic Kajal is my all time favorite. There is no doubt. I was skeptical about the quality of Agaro products. So far, so good. I have no complaints. I like the cool shot function very much. Few people complain about getting hot air even in cool mode even in hair dryers from popular brands. 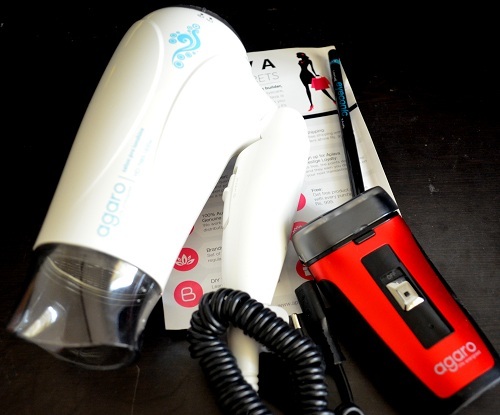 Agaro hair dryer has a real cool shot mode and I am happy with it. If you are fond of skin care products that have active herbal and natural ingredients, Aplava has a lot of varieties for you. The look and feel of the website are super cool. Ths site looks beautiful with a beautiful combination of Grey, pink and black. As per their current policy on Orders, you can cancel your order if the proucts have not been shipped. Free delivery for orders worth Rs.999 and above. Else Rs.50 is the delivery charge. 10 days return policy is available for incorrect or defective items. They have a loyalty programme called Aplava Prestige that rewards you everytime you shop. Personal grooming products from popular brands like Philips and Panasonic are not available. Only defective or incorrect items can be returned. As most of the products have active natural ingredients, you cannot find a lot of cheaper products. 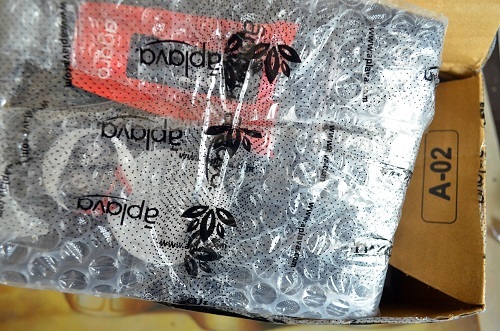 Though Aplava is a startup, they have a wide range of beauty and makeup products. As I said, most of their skin care products have the goodness of natural ingredients and not completely chemical. Try their online skin type questionnaire and get a personalized recommendation for your skin type. Only defective or incorrect products can be returned. Unlike Flipkart and Amazon, you cannot easily return the items for other reasons. It has an advantage too. You will not get products used or tried by someone else. I had a bad experience with a giant e-commerce site who sent a hair straightener with hairs on it. You do not need to worry about it when you order from Aplava. As they are a startup company, they are checking the quality of products individually before dispatching. So, you can shop with confidence.